Hatch Ltd. issued the following announcement on March 15. The push to actively attract and recruit women for the program is one of many initiatives underpinning an organization-wide strategy to drive diversity and inclusion not just within Hatch, but across the metals, energy and infrastructure sectors. Hatch Australia-Asia Regional Managing Director and Workplace Gender Equality Agency (WGEA) certified Pay Equity Ambassador Jan Kwak said creating a pipeline of women in the industry requires real commitment. Hatch’s annual vacation program commenced in November 2018 and saw 44 students in Queensland, Western Australia, Victoria, and New South Wales gain practical industry experience across a range of roles and industries in the STEM space, under the guidance of some of the sector’s most revered experts. A majority of students within the cohort were also successful in gaining undergraduate and graduate employment with the company after completion of the program. Its initiatives like this that have seen Hatch achieve WGEA’s Employer of Choice for Gender Equality citation this year—a voluntary accreditation program that recognizes organizations’ active commitment to achieving gender equality in the workplace. Hatch’s commitment to diversity and inclusion arises from the company’s mantra—that a diversified workforce fosters a plurality of thought, which in turn generates more effective solutions for clients and the broader community. This view is supported by research that indicates females are more likely than their male counterparts to choose a career in STEM because they want to make a difference in their community. 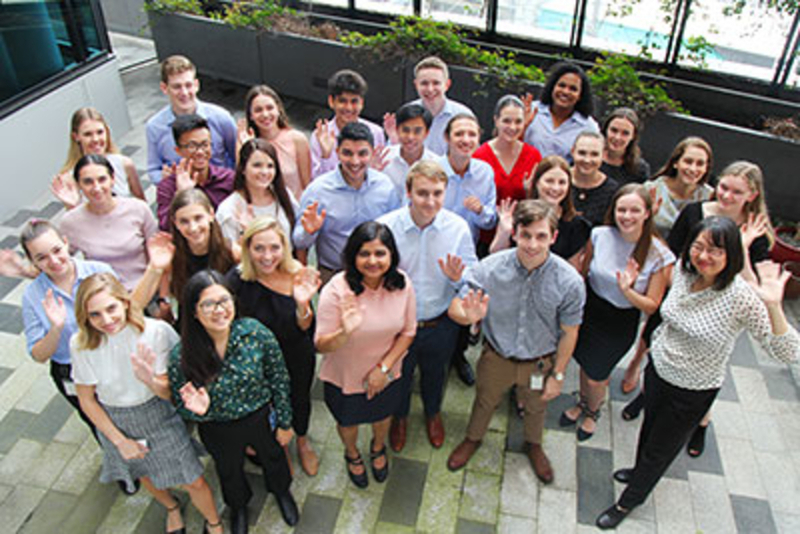 Hatch’s summer vacation program has been refined in the last two years to meet the changing needs of the next generation of young professionals, and has been recognized by the Australian Association of Graduate Employers as the fourth-best intern program in the country. In the last three years, the program has seen a total of 90 male and female students kick start their careers and gain valuable insight into the STEM world, with that intake steadily increasing each year. “I strongly believe that no one should feel limited in their choice of career by outdated expectations or stereotypes. At Hatch, the drive for positive change is a really important value. I felt confident that I was a valuable member of my team and was making real contributions to the projects I was involved in, which is something I hope to continue to experience as I further my career in engineering,” she said. “It’s critical that the pathways and opportunities for STEM careers are visible from childhood. QUT works with industry partners, providing our graduates with great opportunities to forge great careers in companies like Hatch, and showcase what is possible,” he said.